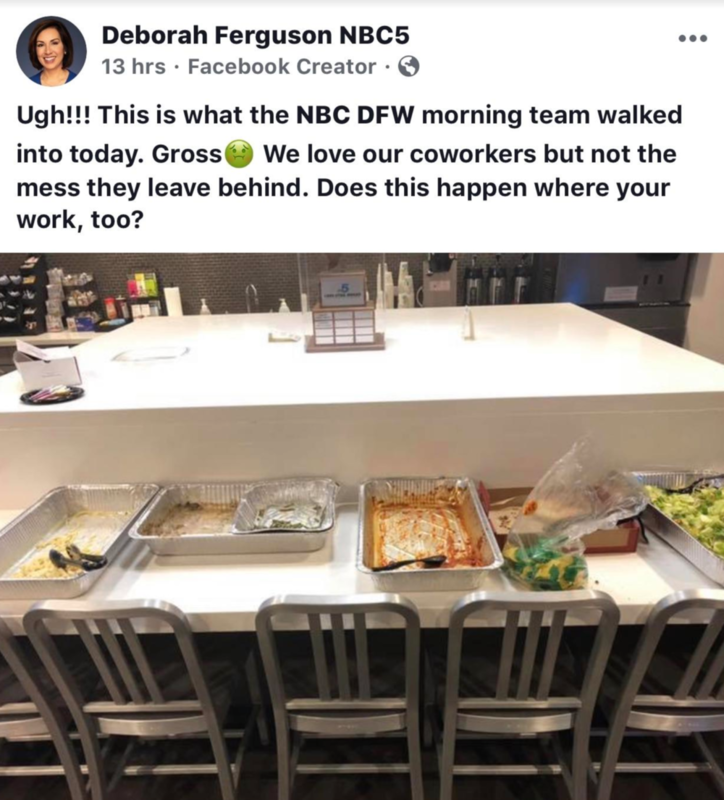 KXAS (Dallas) Morning Anchor Deborah Ferguson walked into the NBC O&O in newsroom and found a big mess leftover from the night crew. She took to social media to throw the night crew under the bus. Can’t say we don’t blame her.